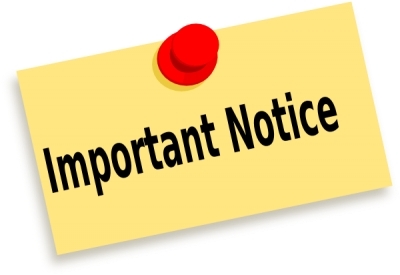 NOTICE OF SPECIAL BOARD OF EDUCATION MEETING DATE: Friday, March 29, 2019 TIME: 3:00 p.m. PLACE: Dorchester County Board of Education 700 Glasgow Street Cambridge, MD 21613 The Board of Education of Dorchester County will conduct an Open Session at the date, time, and location indicated above to address personnel matters. The public is invited to attend. Join DCPS For An Informative Evening! Innocence Stolen: Protecting Our Children provides information to keep children safe on the internet. The presentation informs adults about how to protect young people from negative and criminal influences online. Topics include social networking, cyber bullying, sexting, and internet predators. The program provides prevention and intervention strategies and internet safety resources DCPS is hosting Vincent DeVivo, Community Outreach Specialist from the United States District Attorney’s Office, District of Maryland on two evenings: Monday, March 25th, 2019 at the North Dorchester High School Auditorium OR Tuesday, March 26th, 2019 at the Cambridge—South Dorchester High School Auditorium 6:30 p.m. – 8:00 p.m.
NOTICE OF MEETING OF THE BOARD CITIZENS ADVISORY COUNCIL ON SCHOOL ENVIRONMENT DATE: Thursday, March 7, 2019 TIME: 5:30 p.m. PLACE: “The Pit” Central Office of the Board of Education Glasgow Street Cambridge, MD 21613 The next meeting the Board Citizens Advisory Council on School Environment will be held on the date, time, and location indicated above. The Dorchester County Board of Education is considering three new policies. They are attached below for public viewing. NOTICE OF BUDGET WORK SESSION DATE: Thursday, February 7, 2019 TIME: 5:00 p.m. PLACE: The Board Room Central Office of the Board of Education 700 Glasgow Street Cambridge, MD 21613 The Board of Education of Dorchester County will conduct a Budget Work Session at the date, time, and location indicated above to address business as indicated on the agenda. All or part of the meeting may be conducted in closed session in accordance with Section 3-305 of the General Provisions of the Annotated Code of Maryland.